We’re often asked how our websites make money. People always assume we must have e-commerce sites that sell products – but we can’t think of anything worse! Dealing with customers, manufacturers and suppliers, refunds and stock management – arrrrgh! Matt explains our favourite website money-making strategy – because it’s about as leveraged and automated as you can get. 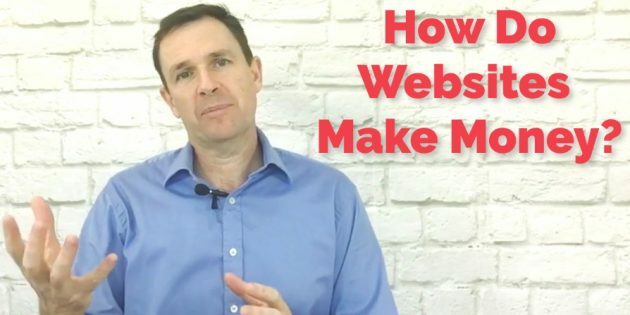 Today what I want to answer is a very common question that we get asked which is: how do we actually make money off our websites? So really, how it works is … Let me explain it. We basically just buy very simple sites that are very specific on a topic. Say it’s dog training. We get people coming in there, and essentially what we do, our simplest model is, what we do is we just sell advertising space on the website. I’m sure you’ve seen them. Generally, they’re those ads in the little tiny text boxes they’re called, in the right hand side of the website. Or they’ll be in the middle of a page. So basically people come there, read our really cool content, and then hopefully they click on an ad, and we get paid by advertisers for having that ad on our website. Now, sometimes we’re paid a direct fee, and sometimes we’re paid by what’s called the Google AdSense program. Every time someone clicks on the ad, we get paid. We get shared in the revenue with Google. Now the cool thing about this is … Now, we don’t get paid a lot of money per click. It might be 50 cents, or 20 cents, or a dollar. Something like that. But the beauty of it is, here’s where you need to think about it. Small amounts, very quickly add up to large amounts. That’s what we found online. Because, you wanna think think about this: we are making this money while we sleep. So we literally do nothing. Except for keeping the website interesting. And we basically outsource all that anyway. I don’t write an articles. I get writers to write articles. It’s easy to do. Basically though, once the website’s set up, we literally, we go to bed at night, wake up in the morning and hopefully someone in America has clicked on one of our ads, and there’s 50 cents in our bank account. Now, when you think about it, the beauty of it is: this works 24/7, 365 days a year. Just on autopilot. Ticking along. 50 cents here, 70 cents here, 50 cents, 50 cents, there’s another 50 cents. And if you think it through, if we multiply that out by all the traffic and the thousands of visitors that come to that website over … Every single night, every day, just ticking along. All of a sudden, I think you can see, we start to turns into a very large income. And especially once we start owning a few sites. All we do is we buy up sites that do that. If we can increase the traffic, that means we get more eyeballs on the website, more clicks, and we make more money. And that’s all there is to our business model. Nice and simple. And these days too … We get big corporates are coming in now and wanting to advertise on the websites as well. That’s a new trend that’s coming up. I might talk about that on another video. But there you go. That’s how we make money simply and easy. 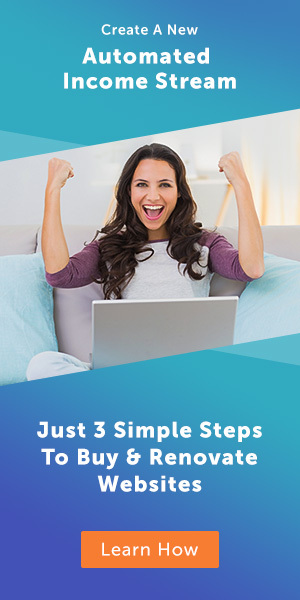 Our easiest online business model. We do have some others, but that’s our simplest one that we love and breath by because we make money while we sleep.